The Essex Library has been a vital community institution since 1889. Its beginnings were humble – a collection of approximately 500 donated books housed in rented space that was managed by a small group of volunteers. 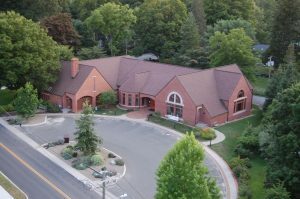 Since that time, the Library has grown to become a modern, professionally staffed organization with a collection of nearly 50,000 items in a beautiful, 9,500 square foot facility. Simply stated, the mission of the Essex Library is to: Serve as the community’s center for lifelong learning and cultural enrichment. Learning can take many forms and approaches when covering a population with diverse needs ranging from literacy programs for preschoolers to retirement questions for seniors. Citizens of all ages are invited to use the Library’s services and facilities as they engage in their individual and collective lifelong learning endeavors. The Library is committed to providing the necessary talent and resources required to achieve its mission.